Offered with two engine options, both three-cylinder units. 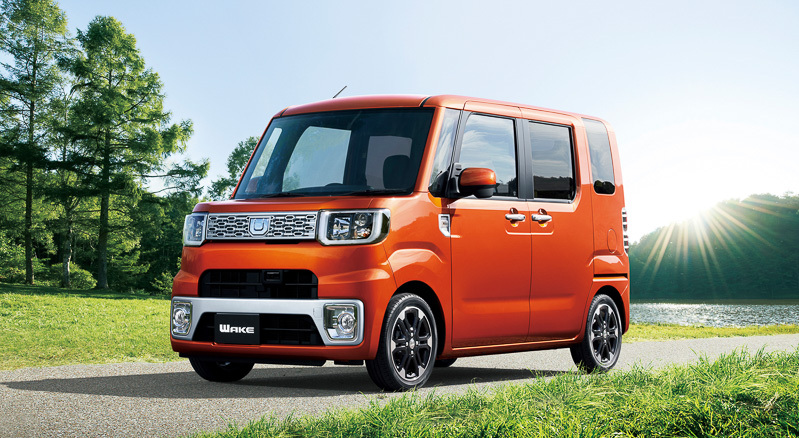 Following a couple of leaked images, Daihatsu has launched the Wake mini car (Kei car) in Japan with prices ranging from 1.35 million Yen (INR 7.27 lakhs) to 1.873 million Yen (INR 10.08 lakhs). The Wake, despite being a kei car, is classified as a tall wagon owing to its 1,835 mm height. The Wake takes design inspiration from the Deca Deca concept. The Wake takes design cues from the Deca Deca concept showcased at the 2013 Tokyo Motor Show. The manufacturer says the car's design offers the best visibility and interior space in a compact and lightweight package. It measures 3,395 mm in length and 1,475 mm in width. Daihatsu announced the Wake with two engine options. The base engine is a three-cylinder 0.66 liter DOHC unit producing 52 PS (51.26 bhp) at 6,800 rpm and 60 Nm of torque at 5,200 rpm. The more powerful motor is a turbocharged offering the 0.66L unit, and makes 64 PS (63.09 bhp) and 92 Nm of torque. All variants of the car come with a CVT gearbox. Both engines are paired to a CVT gearbox and offer 2WD and AWD. With 2WD, the Wake delivers 25.4 km/l (23.8 km/l in case of the turbocharged engine) and with 4WD, the car delivers 24.6 km/l (23.2 km/l in case of turbo). The Wake gets sliding rear doors which facilitate easy ingress and egress. They also help in tight and congested parking situations which is common in downtown Tokyo. Inside, the car gets a small 90 liter boot. However, the rear seats can be folded to facilitate additional room for items like small bicycles. 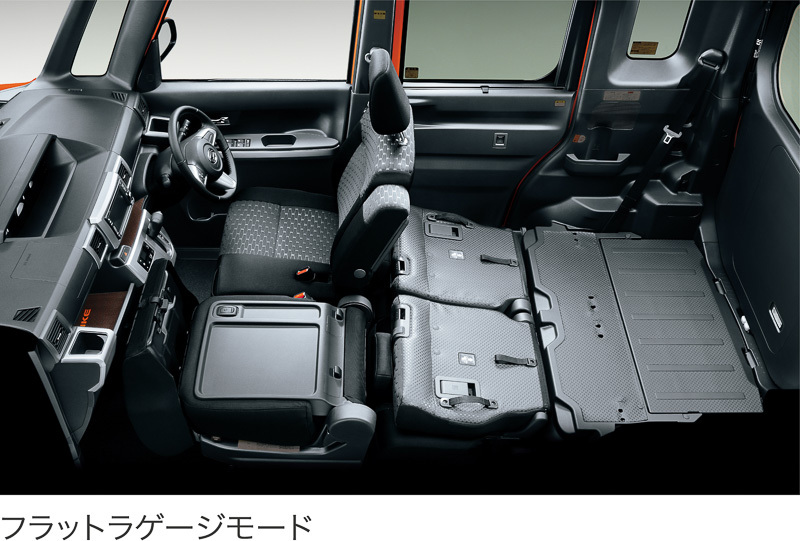 The seats can be folded flat to accommodate objects like bicycles says Daihatsu. Apart from eight exterior colors, three dual-tone shades will also be offered. Features like alloy wheels, dual front airbags, side airbags and traction control are seen on the Wake.